What secrets lurk in a family’s past—and how important are they in the here and now? 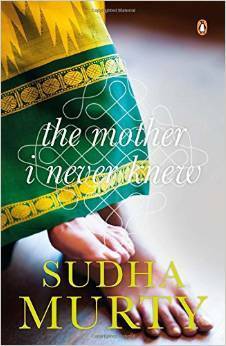 Sudha Murty’s new book comprises two novellas that explore two quests by two different men—both for mothers they never knew they had. Venkatesh, a bank manager, stumbles upon his lookalike one fine day. When he probes further, he discovers his father’s hidden past, which includes an abandoned wife and child. Ventakesh is determined to make amends to his impoverished stepmother—but how can he repay his father’s debt? Mukesh, a young man, is shocked to realize after his father’s death that he was actually adopted. He sets out to find his biological mother, but the deeper he delves, the more confused he is about where his loyalties should lie: with the mother who gave birth to him, or with the mother who brought him up. The Mother I Never Knew is a poignant, dramatic book that reaches deep into the human heart to reveal what we really feel about those closest to us. My View: Once again skeptical of trying a new Indian author but always the one for taking risks, I dived in. At the beginning, the simple writing did not impress me as such. It is one of the things that puts me off, in fact, because I find it an obstacle as it distracts me from the concept and the story. However, I soon realized that this was not the case with this book. Despite its simple writing, I could focus on the story and the writing aided in adding to the simplicity of the story. Well, the story isn’t unique but not a mindless repeat as well. It has new facets and is told in a very subjective way. The author has made the story her own. Although the story could have been just that, a story, instead of a novella. It could have been said in much less words and even less drama but I believe then I wouldn’t have been made privy to all the minor details that bring out the characters and their importance to the story line. Both the stories have a Bollywood movie feel to it but I preferred the first one over the second. The second one is too dramatic for my taste, dramatic to the extent of being unbelievable. The unnecessary stretch and added drama put me off towards the end and I was just looking forward to it to end. The first story in comparison talks about families and cultures in contrast, describes the different characters in the family and their mindsets. It takes a lot of time to get to the point but that time doesn’t seem like idling away, it adds value to the story. However, the same time seems wasted to me in the second story, with incidents of no value taking place and unnecessary emotional brouhaha that I would rather stay away from. 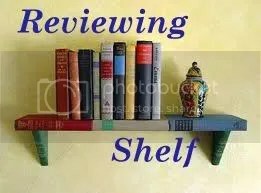 Having read through other reviews of the book, I realize this is not Ms Murty’s most stellar attempts at writing and I would love to read Wise and Otherwise which has been more widely appreciated. However, having said that, I did not feel like this was an underwhelming performance. Since this is the first of her works I read, I had no set criteria to compare it to and no expectations. I guess that worked in the book’s favor. Recommended for a one-time light read if you’re okay with some drama. 3.5/5 stars – Somewhere between ‘I liked it’ and ‘I really liked it’. Huge thanks to Random House India for a review copy.